Grab Your Holidays is considered as one among the leading tour operators in the city of Aurangabad. Since the inception of our company, we have been providing remarkable services to travel enthusiasts. Clients throughout the country have joined hands with us and they are extremely satisfied with our tour operating services. When we make people happy by offering them the best travel services, we consider ourselves, successful. We keep at par with the latest trends of the tourism industry while designing our services. 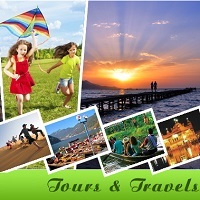 As a tour facilitator, we offer excellent services to ensure hassle-free traveling for people. For more information on our services, contact us, today. As a tour and travel agency, we have our base in Aurangabad, Maharashtra (India).